New York City. A city of endless possibilities and opportunities. A melting pot of every culture worldwide. Your experience in the Big Apple will be unforgettable. It does not matter if you are moving there to start a new life full of opportunities or going there to settle down and retire, it will be a decision you will be proud of making for the rest of your life. If you want to leave life in the suburbs and enjoy the thrill of living in a big city, New York is the right choice for you. If you like the idea of moving to New York, pay close attention to this guide. 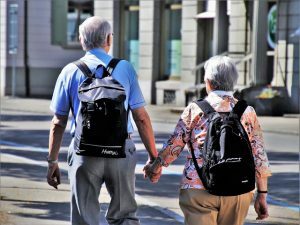 In this article we will talk about the top NYC neighborhoods for seniors and how to choose the best one. So, without any further ado, let us begin! Retirement can be fun if you choose New York City! If you determine your budget first, you will have a much easier job deciding what to do. Living in New York is quite expensive so you need to make a good financial plan. Senior people usually sell their house and rent an apartment in New York City. Decide if you want to buy and apartment, or rent one. You also need to see if there are some cheap senior movers in your hometown. There are some companies that offer cheaper relocation to senior people. When you know what you want in your new place, and how to get there, it is time to choose the right neighborhood. We selected some of the top NYC neighborhoods for seniors based on different factors. These factors include health care, crime rates, ease of transportation, and the costs of living. These are the top NYC neighborhoods for seniors! Even though the name of this neighborhood may put you off, it is actually the complete opposite. It got its name from by being one of the toughest parts of town. However, in recent years, it has become a safe haven for people wishing for a peaceful lifestyle. It is known for its affordability and a senior center. It is also good because it is just a few streets from Central Park. You can use this to your advantage and take long healthy walks through the park. It is close to Times Square for your daily fix of the rush of life, and there is also the Theater District, known for its Broadway shows. With its incredibly low crime rate and a wide variety of international cuisines, this may be your best choice when it comes to top NYC neighborhoods for seniors. Make sure to research for good long distance movers NYC because it can make your move a lot more secure and reliable. Murray Hill is a place with some of the top class health facilities and an astoundingly low crime rate. This makes it a great place for retirees! The famous Grand Central Station is situated here as well, which will make transportation through the whole New York City at your fingertips. One of the most famous routes leads to the Empire State Building and the Chrysler Building, even though you can get there by foot if you live in this neighborhood. It is affordable and well maintained and surely one of the top NYC neighborhoods for seniors. Put this one on your options list and you will not regret it. This neighborhood boasts two big senior citizen centers, the Inwood Senior Center, and the Dyckman Senior Center. It is one of the best options for seniors on a budget because the average rent price is between $1.675 and $2.200 according to renthop. This is a very good price considering the low crime rates in this neighborhood. This one is a real outdoor community. There are many parks and hiking trails which you can use to exercise good health, and you will always have the company to do so. Fort Tyron Park is the biggest in the neighborhood and it contains the Bronx Zoo which is one of the best in New York City. This is the only place in Manhattan where the world slows down a little bit. It is one of those places that makes you forget that you are in one of the most populated cities in the world. Upper East Side is just that! In addition to this, the crime rates are incredibly low and it offers iconic architecture and many landmarks and museums. You will never miss the chance to enjoy life if you decide on moving to this neighborhood because it offers many family restaurants, shops, theaters and more! The area is close in proximity to the railway so getting to the city will be a breeze. The average rent price for this neighborhood is $4.041 according to RENTcafe, which is a bit higher than most can afford. However, if you are well situated financially, choosing this area is something you will be thankful for, for the rest of your life. A safe haven in the bustling Manhattan. Another “suburb within a city” kind of neighborhood. Battery Park City is for all of you who want to escape the hustle and bustle of Manhattan. It is close to the city but still far enough to relax and enjoy the peace and quiet. It is quite a laid back area, both physically as in the abundance of parks and relaxation areas and also in the people which inhabit the area. 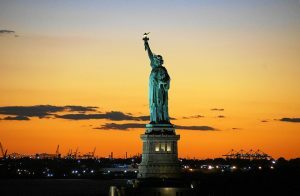 The neighborhood is located on the same side as the Statue of Lady Liberty, so you can enjoy walks on the shoreline overlooking the famous landmark. One of the top NYC neighborhoods for seniors, indeed! This part of the city offers a lot in the historical sense. You will feel like living in the beginning of the previous century, and it makes this area a great place for retirement. However, all of this comes with a price. It is one of the more expensive NYC neighborhoods going at $3.300 according to RENTcafe. Its very low crime rate screams “great location for seniors” and it would be unwise to let that call go unnoticed. Here you have some of the top NYC neighborhoods for seniors. It is up to you to make the final choice on the location and hit up some residential moving companies NYC. Whichever you choose, you will not be disappointed. New York City is a haven for retirees even though it may not seem like that! Good luck with your move!